The Q 3200 gas grill grew out of the popularity of the original Q. This super-sized model is designed more for the person who has limited space than for the person who needs to transport their grill. At 83 pounds all together, this isn't a grill to take on a picnic. This grill does, however, provide you with indirect cooking abilities and as much space as a small, traditional gas grill. This grill will give you authentic grilling right down to the warming rack in a unit that is easily stored and doesn't take up a lot of space. A portable grill that is large enough to do most anything. At full price, this is comparable to full-sized grills with more features. Large hood promises to make room for a whole chicken or large roasts. When Weber introduced the Q portable gas grill, they found a lot of people not taking it to the beach but keeping it on their patio. It was a perfect grill for urban dwellers that didn't have a backyard but still wanted to grill. 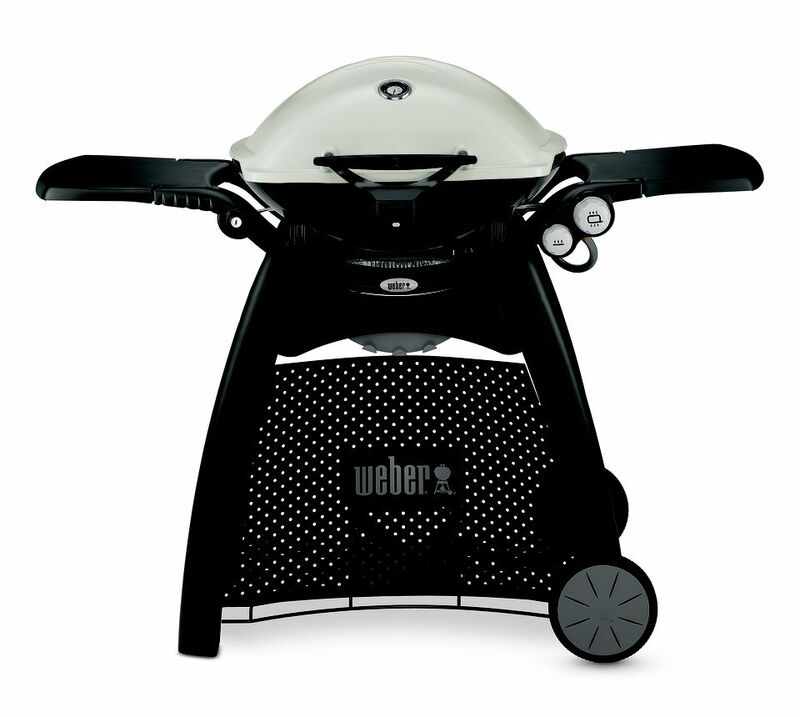 In 2006, Weber introduced the Q 3200, a larger, two-burner gas grill that comes standard with the previously optional stand. This unit also comes standard with the hose and regulator to hook it to a 20-pound propane tank. After all, at 21,700 BTUs, it would go through disposable, 1-pound bottles very fast. While not strictly portable, this grill is a great compromise between a large full-featured grill and a traditional portable, making it perfect for apartment dwellers or tailgaters. The two-burner design gives you indirect cooking abilities. One burner runs around the edges of the grilling area while the other cuts through the middle. This gives the grill the power it needs to heat 393 square inches of cooking area hot enough to grill steaks while giving you a lot more versatility in your grilling. For the price, the construction of this Weber is a good grill. The straightforward design is a model of simplicity and the grill doesn't rely on lots of extras. This is a basic unit grill, perfect for someone who wants to grill small meals in a small place.